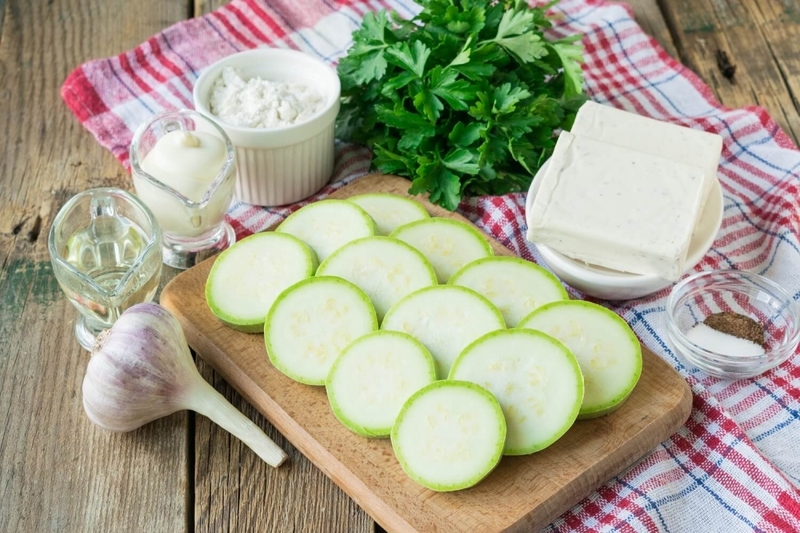 From zucchini you can cook a lot of delicious and healthy dishes. Perhaps the most favorite of them is fried zucchini with garlic and greens. Today I will share with you a recipe that will add a piquant note to this summer snack. 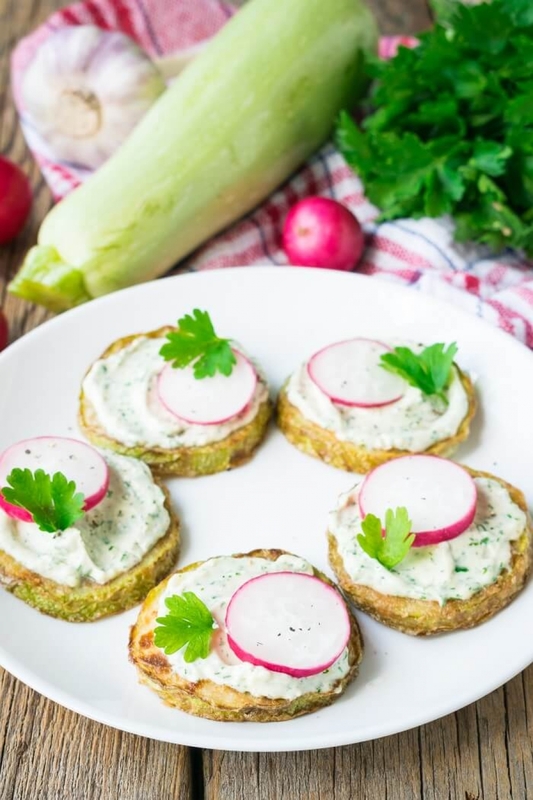 The spreadable cheese perfectly combines with garlic and vegetables, making the snack especially tasty and appetizing. No less original is a sauce made from sausage smoked cheese. 1. Wash zucchini, cut off the tails. Cut the vegetables into rings of 1 cm in thickness. 2. 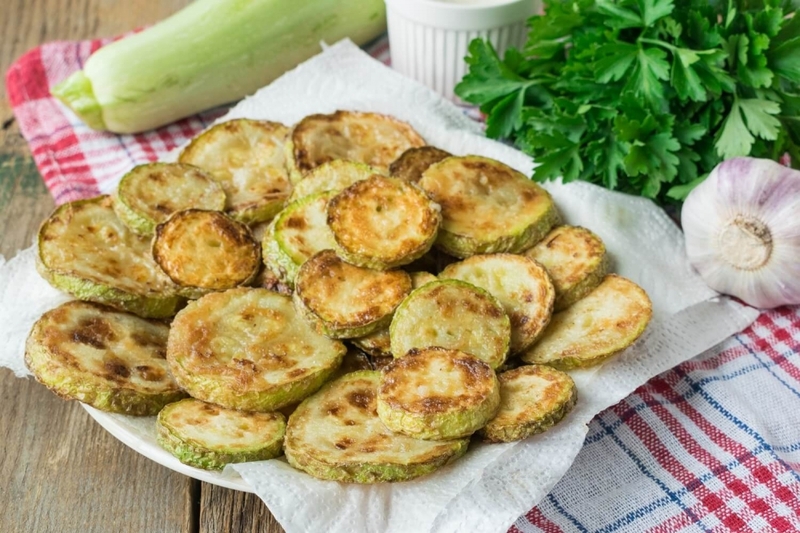 Batch rings of zucchini in wheat flour from two sides, so that during the frying on the vegetables a delicious golden crust is formed. 3. 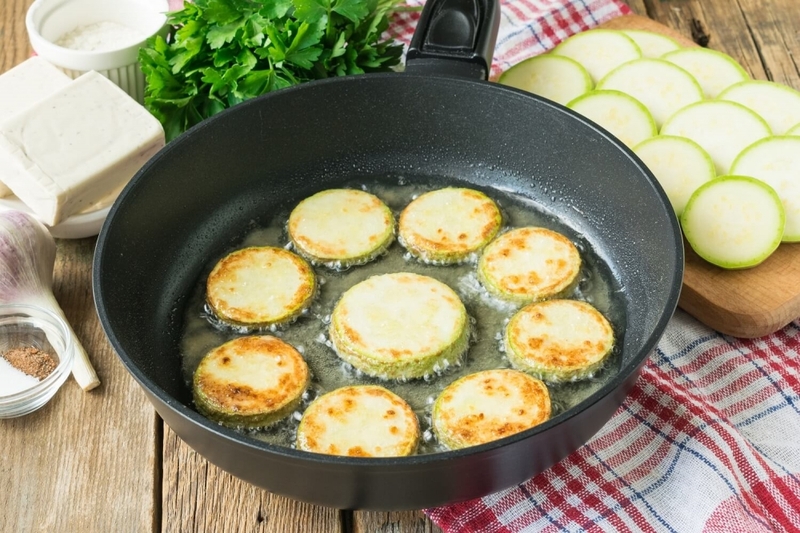 In a non-stick frying pan with a thick bottom, heat up the refined vegetable oil. Carefully lay out circles of zucchini in breading in it. 4. When the vegetables are browned on one side, gently turn them over to the other side, helping you with a wooden spatula. 5. 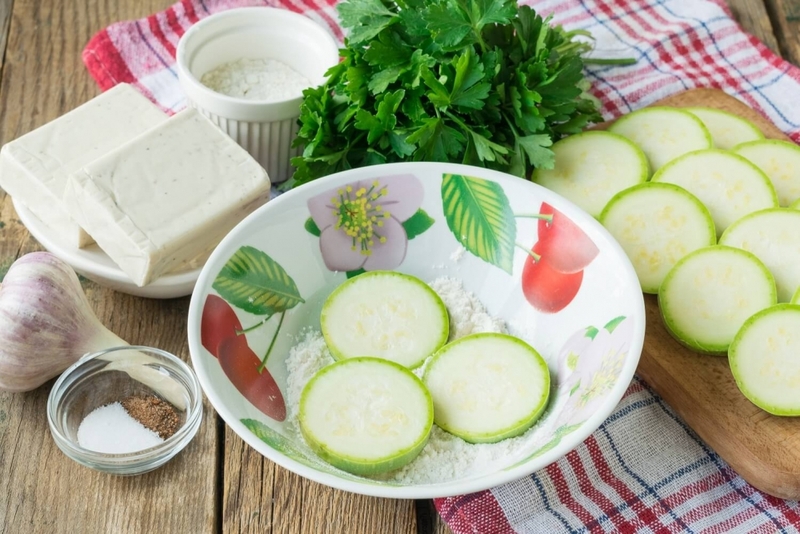 Bring the zucchini to ready, and then transfer them to a flat dish, covered with paper napkins, to remove excess oil. Thus you will fry all the vegetables. 6. 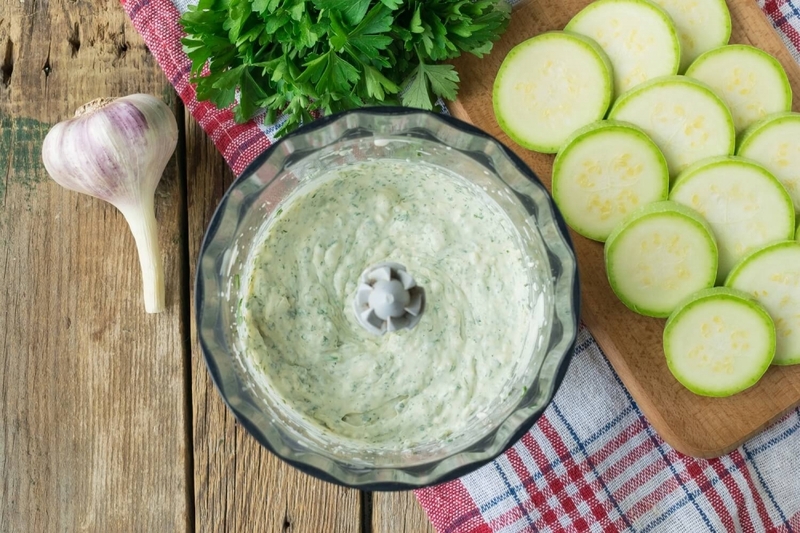 While zucchini is cooling to room temperature, prepare a thick sauce of greens, garlic and cream cheese. 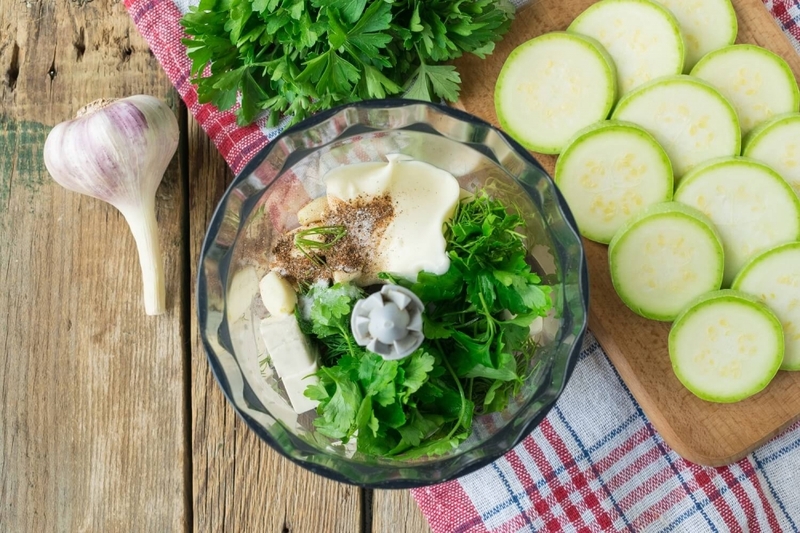 Put the spreadable cheese, garlic cloves, mayonnaise and parsley into the blender bowl. Add salt and black ground pepper to taste. Grind the ingredients to a homogeneous consistency. The mass should be thick enough to be easily spread on vegetables. 7. Abundantly grease fried vegetables with cheese sauce and greens. 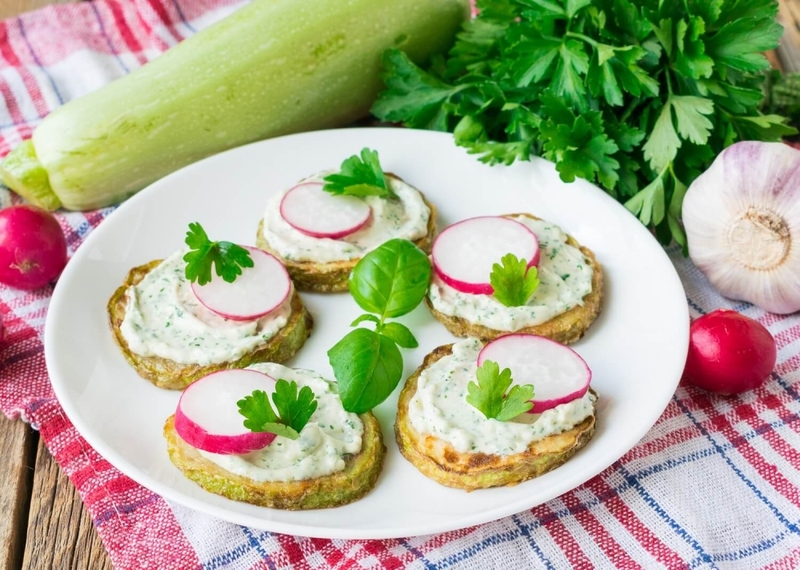 Decorate the snack with circles of cherry tomatoes, young radish and parsley leaves. For savory snacks can be seasoned with freshly ground black pepper. Put the ready-made snack into the fridge to cool it and brew.